As Georgetown students enjoyed the snow day after last weekend’s storm, many homeless residents of D.C. were stuffed into shelters due to the inclement conditions and low temperatures. A number of the city’s homeless shelters still require maintenance well into the winter season. Within the scope of the city’s ongoing plan to reshape its homeless shelter system, the city’s last-minute push to revitalize its shelters into livable condition before winter further demonstrates the irresponsibility of the project. In November, the D.C. government opened a new 50-unit shelter in Ward 8. 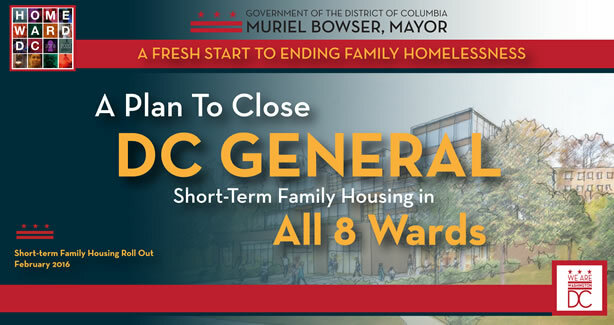 The opening was part of the planned overhaul of the District’s shelter system, which included the closing of D.C. General—formerly the city’s largest homeless shelter—and replacing it with smaller shelters interspersed amongst the District’s eight wards. This editorial board believes the plan is well-intentioned, but we question the city’s ability to carry out its shelter revitalization project within the predetermined timelines. Any project that affects as many lives as this one does should be carried out more efficiently and effectively than the District has done with the remodel of the shelter system. 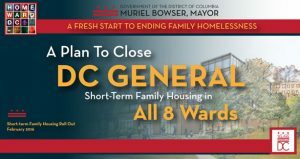 Despite the clear need to revitalize the city’s shelter system, many of the replacement locations proposed in the wake of D.C. General’s closure have not yet been completed. Some are not slated to open until 2020, and one, in Ward 3, was locked in a stiff legal battle and is currently behind schedule. An elevator in the Patricia Handy Place for Women, a shelter in Ward 2 that serves many disabled and elderly women, recently stopped functioning, requiring the city to move a number of women to more accessible locations. As per D.C.’s right-to-shelter laws, all people experiencing homelessness are guaranteed beds during the hypothermia season, which started on Nov. 1, when temperatures drop below freezing. However, many of the city’s locations have had problems, necessitating the usage of local establishments as overflow housing. In the height of hypothermia season, some of the city’s homeless shelters have not acted with the health and safety of District residents in mind. 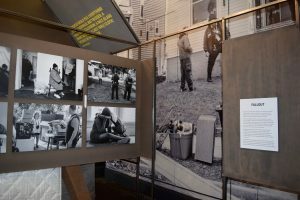 According to multiple women staying in the Community for Creative Non-Violence (CCNV), a volunteer shelter that the District contracts with during hypothermia season, they were required to sign contracts that forced them to leave the shelter on Nov. 1, the beginning of hypothermia season. The women were allowed to return, but this glaring example of miscommunication is unacceptable. Perhaps even more egregious, a longtime case manager at CCNV told City Paper that “you don’t see any men complaining” about the shelter’s conditions. Eliminating D.C. General was the right decision, but its closure was marred with mistakes that threatened the lives of the most vulnerable D.C. residents. This editorial board wrote in April 2018 about complications of the shelter’s demolition and the disregard for the health of D.C.’s homeless residents, some of whom were still living in the shelter during this time, as a result of D.C. General’s preemptive destruction. Given this lack of consideration, we also call on Georgetown students to help the District’s homeless population whenever possible. The Center for Social Justice sends out Hypothermia Outreach Teams on cold winter nights, and many local shelters, such as the Grace Episcopal Church on Wisconsin Avenue, accept volunteers. To help address the clear structural issues with the D.C. shelter system, students should also call their city councilmembers and Advisory Neighborhood Council representatives to urge changes within the system as a whole. The nonprofit organization Community Connections estimates that approximately 40-50 homeless D.C. residents die each year of complications from cold weather. This is clearly unacceptable. The city’s plan to decentralize its shelter system from D.C. General to a variety of shelters in different areas is the right goal; however, it has not been carried out effectively and responsibly. In the winter, the District must ensure that all residents are given safe housing and shelter from the cold and snow.